This page explains the different options and flows for orders that can be re-sourced. Re-sourcing refers to an allocated source that is not able to complete the fulfillment process, therefore the system has to find another option to re-source a specific order rather than cancelling it. The settings of your Configuration portal or the messages from your OMS, such as events or commands, can also affect the re-sourcing flow. Not re-sourceable - An order pick that is declined is not re-sourced, but is cancelled in real time. Using a Batch (wave) configuration - If the configuration rule is enabled, a declined order pick is re-sourced through a message. This is not a real time process, and depends entirely on your batch (wave) configuration. For more information, check the specification magento.logistics.warehouse_management. For a Ship From Store (SFS) order, normally you will find that it is based on a Batch (wave) configuration. This type of order must be of the STORE source in order to allow for re-sourcing. Re-sourcing an SFS order that has not yet been picked is a configurable setting. This allows you to re-source orders, which have not yet been picked, but are already sourced to a physical store. This configuration is available through the Configuration portal, which is not yes accessible externally yet. Contact Magento to change this configuration. You can find this rule in the Stock setting section in the Configuration portal. If allOption is selected, the order can be re-sourced to the same source if stock is still available and the source continues to be the best option. discardPreviousSource will maintain a record of all the sources that are hard allocated but did not initiate the pick, and will filter them out in the next wave. The logic is applied 30 minutes before the wave is scheduled, so all orders that are flagged as re-source (and the shipment-request cancelled) are added to the queue for the next scheduled wave. This rule applies both to sourcing in direct mode or batch mode, and will always be triggered before the configured wave even if the default sourcing is defined in direct mode. An additional setting, ReSourceNotPickedforXhours, allows you to specify the minimum time that the order should have been hard allocated to the store before getting re-sourced. All home delivery orders that are pick-declined from a source are re-sourced, rather than cancelled (no configuration needed for this behavior). By default, they can be resourced to any source with available stock. If the source is pick-declined the order should be excluded from the following sourcing attempts and the config, UseDifferentSourceForPickDeclinedItems, should be enabled. Click Save Rule when you finish configuring your re-sourcing flow. A confirmation message appears. View history - Shows the change history of this configuration rule over time. 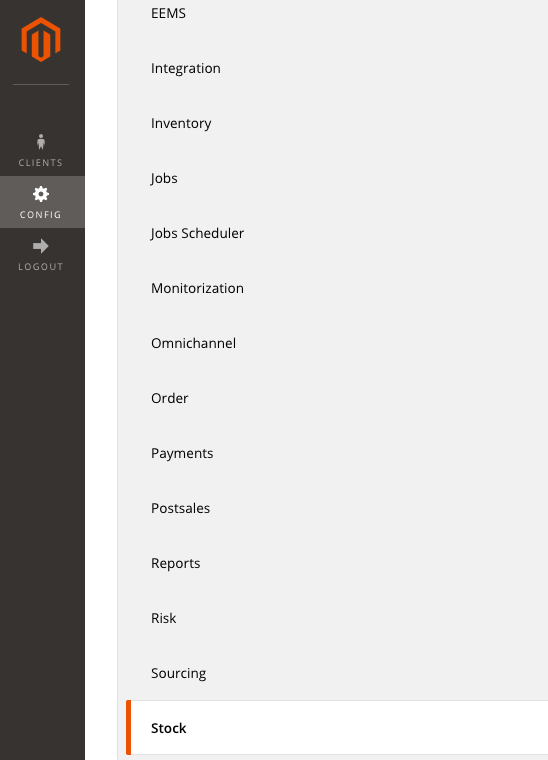 Find the rule for re-sourcing for ISPU orders in the Omnichannel section in the Configuration portal . Enable the ISPU pick decline rule and click Save Rule . A confirmation message appears. There are configurable rules to allow ISPU orders that are pick-declined to remain in the exception queue, rather than being cancelled. This enables the customer service agent to decide to manually source it to a different source with stock available and inform the customer of the new pickup point, or to cancel them manually. When the Ship To Store flow is enabled, the ISPU orders that are pick-declined will be re-sourced right after the pick-decline. The re-sourcer will search for all sources enabled for shipping stock to another source, and ascertain the best option based on the standard configured sourcing rules.